Of all the cuisines from around the world - lebanese is by far my favourite. Yalla Yalla and Ceru are some of my favourite spots to eat but I've never really cooked lebanese when at home. 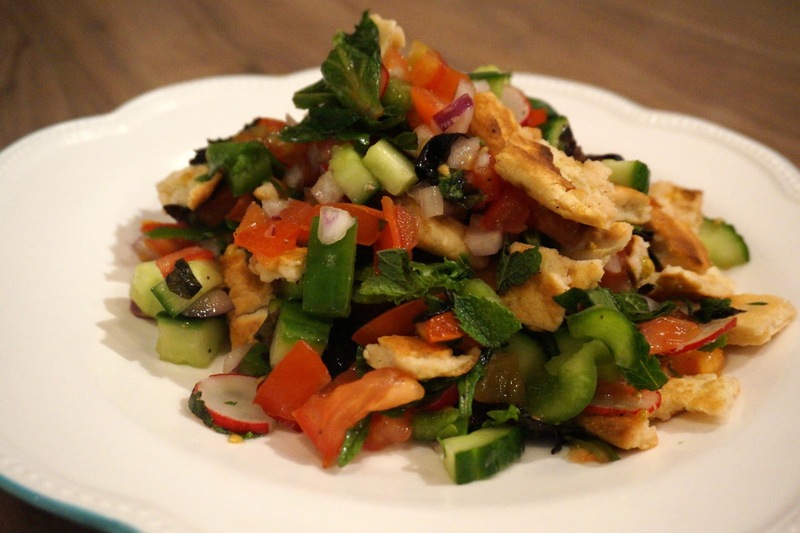 Oxo Good Grips recently got in touch to ask me to create a summer recipe for their summer campaign and the first thing that came to mind was a fattoush salad. 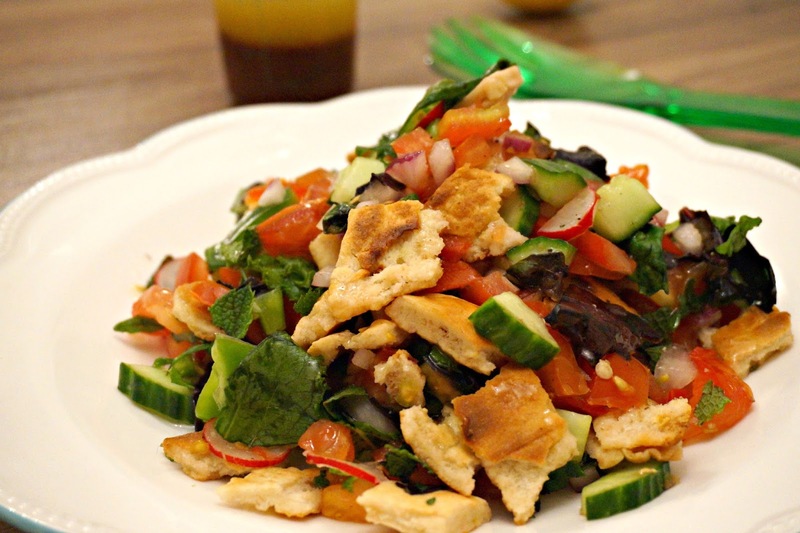 I always order fattoush when I eat out so I wanted to try my hand at making it at home. For those of you unfamiliar with it, it's essentially a lebanese salad made from tomatoes, cucumber, herbs and pitta bread. 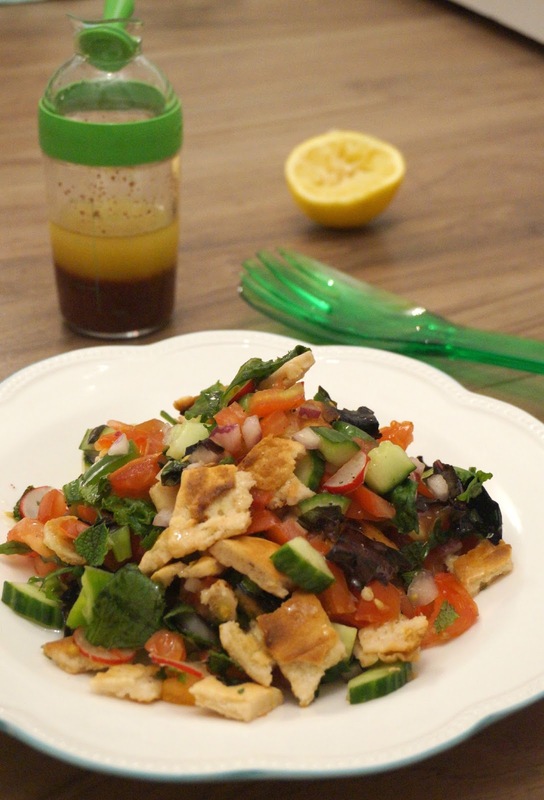 It's got a lovely zesty flavour and I find having pitta inside makes it really filling as mid-week salad to take to work. It's also gorgeous to have with grilled meats or halloumi. You won't need to use all of this so feel free to cut back on quantities or store the extra in your fridge to use on salads throughout the week. I love drizzling it on crusty bread! 1. 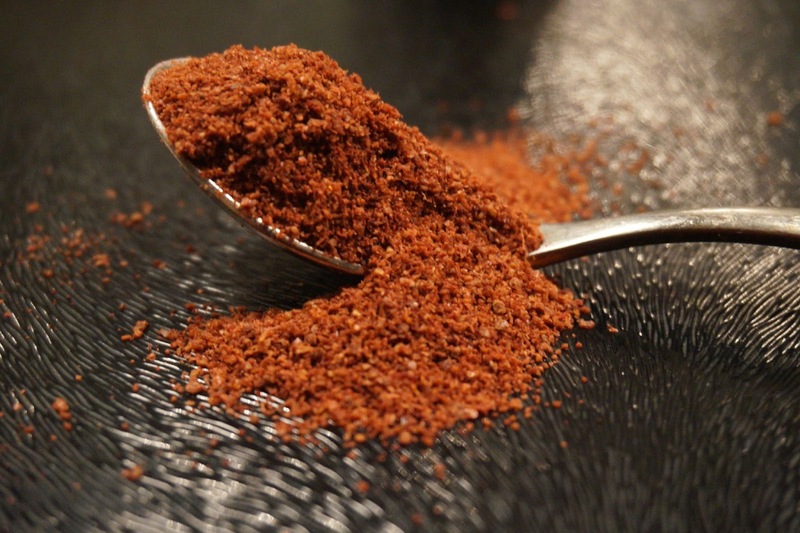 To make the dressing, mix together the oil, lemon juice, zest, garlic and sumac along with salt and pepper to taste. Set aside. 2. Toast your pitta bread and once cooked cut or tear into small cubes. 3. 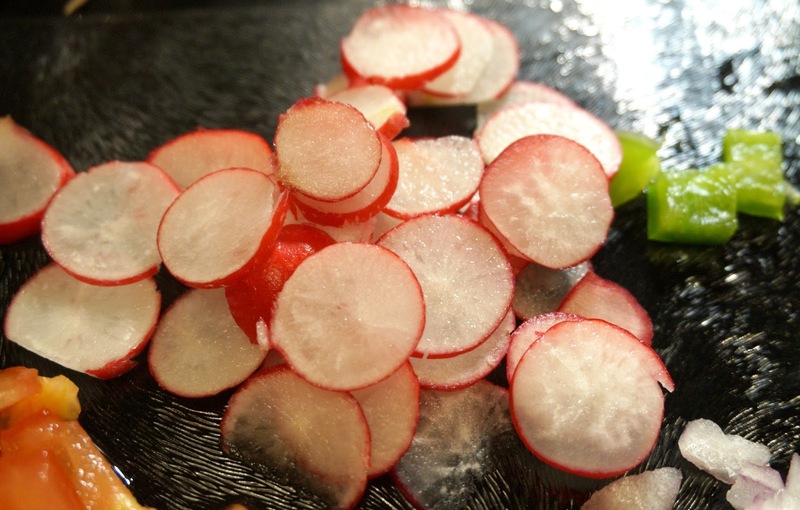 Chop the rest of your ingredients (I leave the radish in slices but cube the rest) and mix in a medium sized bowl. 4. Add your pitta to the mix, dress lightly with your sauce and toss untill it's all coated. 5. Serve either in a large serving bowl or as a side salad to grilled meats or halloumi cheese. To help me create this recipe the lovely team at Oxo sent over some salad related goodies. I received a salad spinner (£26) , salad dressing shaker (£12) and the 2-in-1 salad servers (£8) which you can see in some of the shots above! I love the salad spinner - it's one of those products which I've had my eye on for ages but I've never really used. It makes such a difference being able to wash ingredients quickly and get as much water out as possible before using so I'm really impressed. I also loved the salad shaker which comes with a handy ergonomic stop-cap so you can use just the right amount of dressing with one hand. 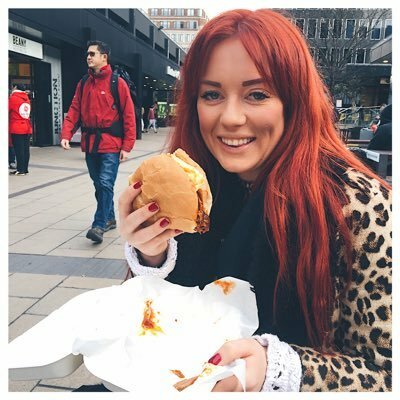 I've had so many incidents with lids coming off bottles and flooding my salads with vinegar so it's nice to find something which you can trust!